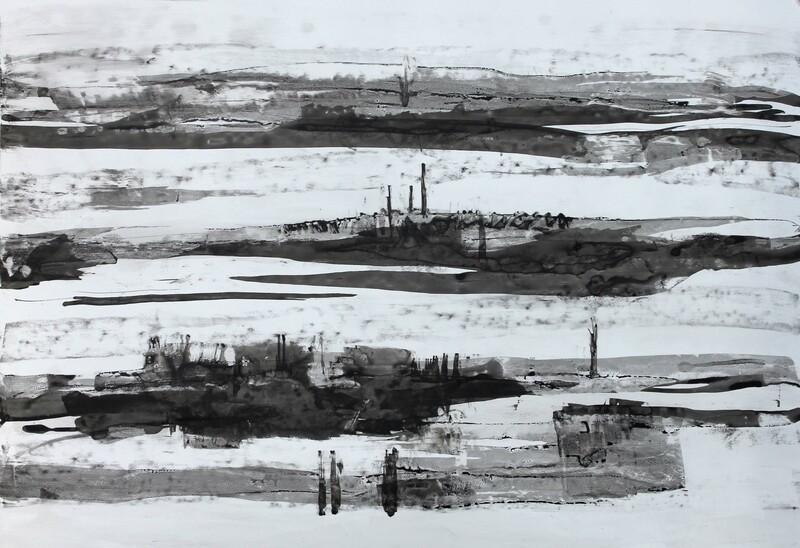 Drawing, making works on paper, is my way of investigating every series of paintings upon which I embark. For the two series that are growing simultaneously, “Passages” and “Layers of Memory”, I am continuing to investigate while both series are well underway, having begun both in 2012. At first I thought there would be a distinct end to one or both series but that is not happening. The two series are intertwined and are an investigation of memory from two distinct points of view. 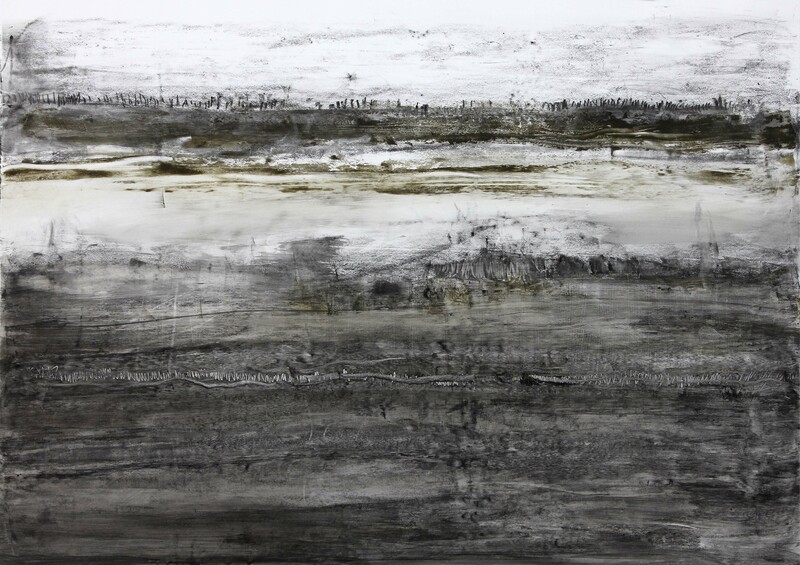 On the one hand, “Passages” looks at the journey through time in a landscape form and ‘Layers of Memory” approaches memory from more abstract territory of microscopic and macroscopic probing beneath the earth’s surface. One series uses the monochromatic palette and the other uses a vivid palette of hues that are insistent and sometimes jarring. “Passages” utilizes the silky texture of the wax and the other series depends upon the visceral texture that is possible with encaustic paint using impasto medium. For a long time I thought that the medium of encaustic was not crucial, but now I see how integral a part of the process the medium has become. I can think of no other that would provide me with such flexibility. The process for the paintings is a bit arduous at times. But it is the process that slows my progress just enough so that the image emerges without too much self-consciousness. That part is a little hard to explain in words. Words are not enough anyway nor should they be. I work with the goal that the paintings and works on paper speak for themselves. The works on paper are being created on a special surface that allows as much flexibility as the encaustic on wood panel. The image above is created on TerraSkin art paper. A “paper”, not really a paper but a surface, made from “stone”. The main ingredient is calcium carbonate, found in rocks, marine organisms, snails, pearls, egg shells…Is that cool or what? It accepts multimedia and is eco-friendly. All of that is important but it is the “feel” of this surface that appeals to me. For image making, I am using lith crayon, India ink, cold wax, R&F oil and wax pigment sticks, sometimes all of the foregoing and sometimes not. It will accept encaustic but I haven’t gone there yet. Later. Having seen a couple of the “Layers of Memory” pieces, it is so true that no words can describe them. There is so much depth of color and layers that they look inches deep! Thank you Jenny. I appreciate your comment very much.